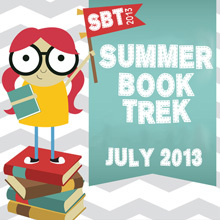 Jennie Bennett, A Writer's Journey: Summer Book Trek! I haven't been so great about reading this year, it's mostly because I've been beta reading like crazy, but I'm also missing out on some published books that I should've already read. Yeah, I haven't even watched Beautiful Creatures much less read the book. All of the details are here and you can sign up and join the challenge here. So what am I going to read in July? I happened to get all of these books signed while I was at LDS Storymakers and if I complete the challenge I'll be giving them away! Here's to a summer filled with good books! This summer I intend to get through a lot of books on my list as well. Yay for reading! I'm on my 32nd book for the year. This is a huge deal since for the past ten years I've only managed about six books a year. I made up my mind that this year I would take weekends off and read a book a weekend. Sometime I squeeze in two if I'm lucky. I don't get much else done, but at least I'm making a dent in my TBR pile! 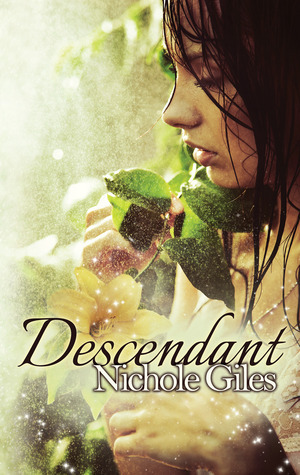 Love the cover for Nicole's book. I'm trying to get in more reading, but that's not easy when the kids are home and I'm also trying to finish my first draft. I'm behind on my 50 books read this year goal, summer's a great time to catch up. fun! thankfully I've had time to read, but who knows how long that will last. hope you enjoy those books. Wow! How generous! I hope you meet your goal! Best of luck and you're super generous. Those all sound like amazing books--and one or two are on my TBR list. Things can get so crazy, but I have a monthly ready goal for when I just need a break. ("For fun" books.) I'm so behind this month. 1.5 of my 4 YA/MG joy rides. Got through my educational stack okay though. Goodness. Do you ever feel like you have too many balls in the air? Summer reading is the best, except I have so many books piled on my Kindle, it's almost overwhelming! Wow, Far World has a very nice cover! I'm looking forward to summer reading, just as soon as I complete edits on my own novel. It's eating up too much of my mind. River of Stars, Throne of the Crescent Moon and Battle Royale are waiting for me. I have just gotten into my summer reading groove, and I'm SO excited! 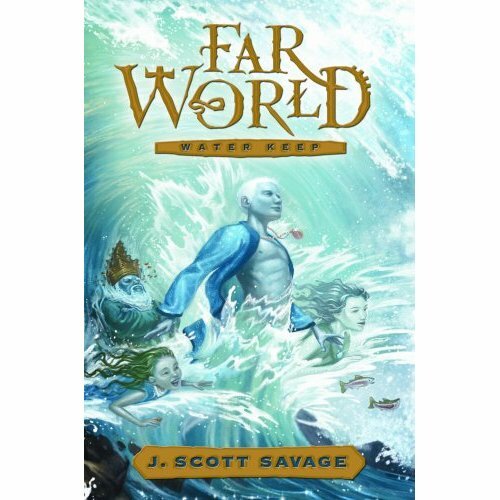 Far World looks really interesting. Ooh, what a fun challenge! I should sign up. I'm behind on reading, too. (I still haven't read Beautiful Creatures, either!) The books you plan to read in July all look amazing. Hope you enjoy them! I have so many books in my TBR pile that's overwhelming me! I still gotta get through The Great Gatsby by F. Scott Fitzgerald! these are great books! I'm trying to get through a lot of books this summer too. Oooo... fabulous books, Jennie. I have one of Scott's books too I need to read! 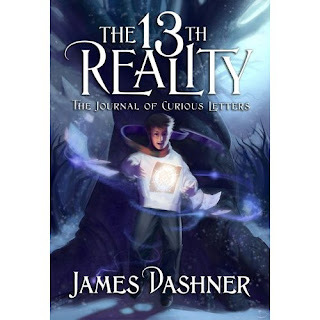 And I want to read The 13th Reality. I need to get going or fall will be here before we know it! I loved Farworld and 13th Reality. You'll want to read the rest of those two series. And Descendant is on my To Read stack. It looks good. I really enjoyed the MAZE RUNNER and haven't heard about this latest Dashner book! Hope you like them and let us know what you thought of them! Hidden in the Heart Auidobook GIVEAWAY! Donation Bomb for Ben Wolverton!